A wide range of tasks are dependent on your dexterity, especially when you're working in the chemical or metal processing industries. 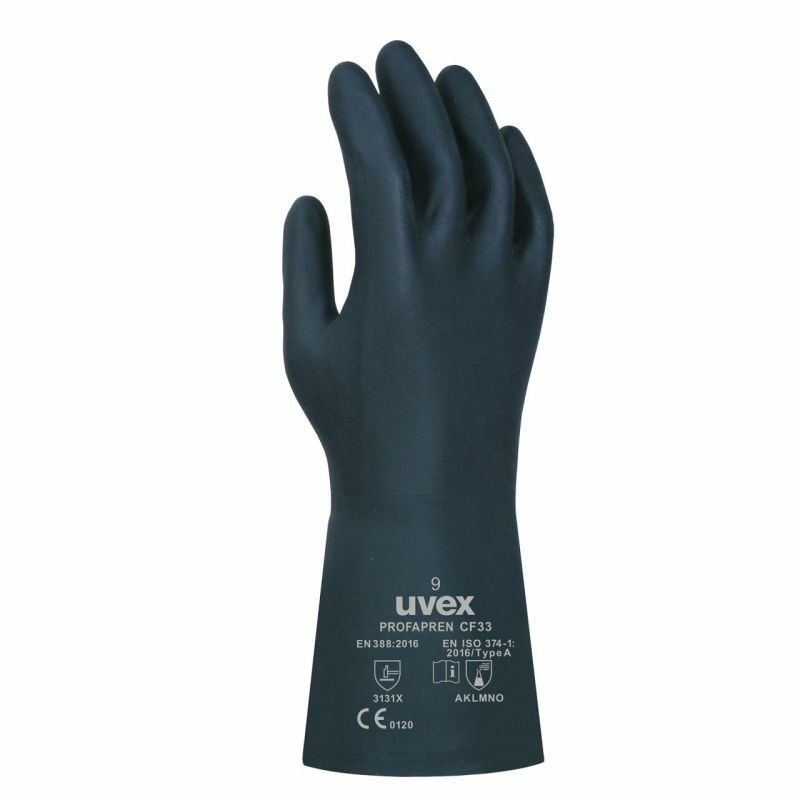 The Uvex Profapren Flexible Chemical-Resistant Gauntlets CF33 are made from flexible chloroprene, allowing you to retain your dexterity during use. 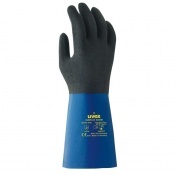 The gauntlets are also designed with flocked cotton liners so you remain comfortable throughout use, allowing you to perform tasks at ease for prolonged periods. The product code for these gloves is 60119. 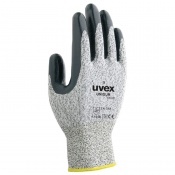 The Uvex Chemical-Resistant Gloves have been tested to EN 388, the European standard for gauging how effectively a glove protects your hands against mechanical risks. Please check the table below to find out the results for these gloves. These gloves have been tested to EN 374, the European standard for gauging how effectively a glove protects your hands against chemicals. Please see the table below to find out the results for these gloves. 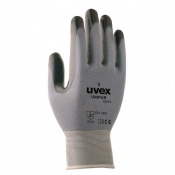 The Uvex Chemical-Resistant Safety Gloves CF33 are available in four different sizes. Please measure the circumference of your hand around the knuckles (excluding the thumb) with your hand open and your fingers together, then refer to the table below to find out which size will fit your hands best. These gloves are approximately 33cm in length for improved forearm safety.